mAh per display square in. 242mAh/sqrin. This waterproof smartphone brings back Motorola's signature water-repellent coating, making it more splash- and spill-ready than most of its mid-end competitors, and it comes with a 2800mAh battery power, which, by 2018 mid-range standards, sounds average. Besides, it also tries to make its low-resolution 5-megapixel selfie cam more interesting by arming it with a dedicated front-facing LED flash. 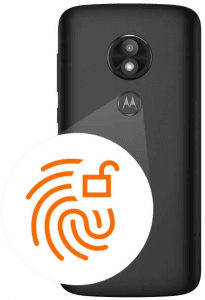 Also called Motorola Moto E5, Motorola Moto E Play Gen 5. 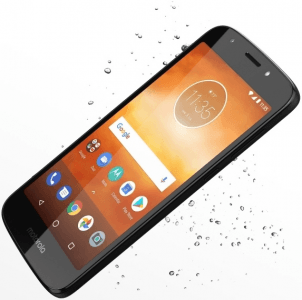 Pros and Cons Review Motorola's Moto E5 Play scratches the idea of an 18:9 display and NFC, but its specs do include a water-repellent coating and a frontal LED flash. Click through to know more about its pros and cons. (more) Motorola phones 2019 View all the recent and upcoming Motorola phones.